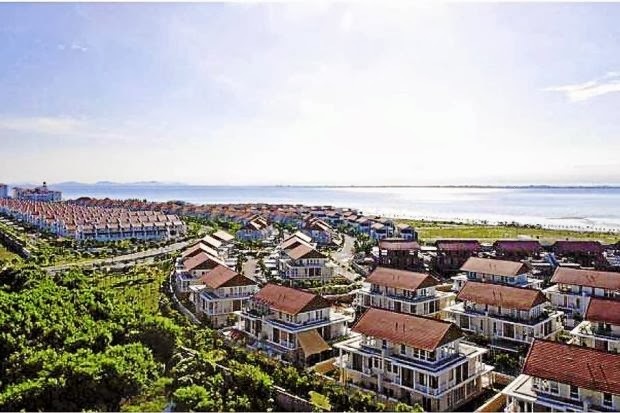 Eastern & Oriental Bhd (E&O) is increasingly getting on the radar of analysts’ positive view on its shares in light of its reclamation-based development in Penang. E&O is reportedly in the final stages of securing regulatory approval for the commencement of reclamation works for its Sri Tanjung Pinang Phase 2 (STP2) project in Penang. Some analysts envisage reclamation to start in the second half of 2014. Analysts expect a significant positive impact from STP2 in terms of the projected gross development value (GDV). They reckon that it will be about three times the GDV of the first phase of the Sri Tanjung Pinang project (STP1), which stood at about RM4bil. Under STP1, E&O has already reclaimed some 97ha for development. On Aug 24, E&O held a public forum for its proposed master plan of STP2 at Straits Quay, Penang. While STP2 has already received approval in-principle, this is the last hurdle before the final approval by the state government. STP2 is 78.8% owned by E&O and the balance 21.2% by the Penang government. “The cut-off period for the submission of public feedback on the detailed environmental impact assessment (DEIA) study is set for Oct 31. Subsequently, questions raised by the public… together with the responses, will be collated and compiled into the DEIA report. The target submission to the Department of Environment (DOE) is in the middle of November,” AmResearch said. In early October, AmResearch initiated coverage on E&O with a fair value of RM3 per share – based on a 35% discount to its net asset value (NAV) of RM4.61 after incorporating the significant accretion to its asset value from STP2. Stripping out STP2, AmResearch said the NAV of E&O would be RM1.36 per share. AmResearch reckons that STP2 would be granted regulatory approvals from the Penang government by the first half of 2014. HwangDBS Research property analyst Yee Mei Hui pointed out that E&O has a strong pipeline of RM2.35bil worth of projects to be launched for its financial year ending March 31, 2014. They include the Mews@Yap Kwan Seng condos (with a GDV of RM400mil), the maiden launch of terraces at Medini in the Iskandar Development region, Andaman at STP1 (GDV of RM500mil) and the Princes House in Central London (GDV: RM300mil). Yee has a target price of RM3.10 for E&O based on a 30% discount to its revised NAV of RM4.41. Given the strong sales pipeline, AmResearch sees E&O’s earnings expanding by a compounded growth of 18% over the next three years, from RM141mil in financial year 2014 to RM200mil in financial year 2016. For the first quarter to June 30, 2013, E&O’s net profit was down 11.38% to RM27.22mil while revenue was down 46.88% to RM94.99mil. The lower profit was mainly due to cost incurred for the completion of various development projects, namely in STP1, St Mary Residences and Villas by-the-sea bungalows. Meanwhile, E&O has entered into a memorandum of agreement with Sime Darby Bhd to start negotiations on the proposed acquisition of 55ha of freehold land in Bukit Jelutong. The land, part of a 341ha plot, is also part of the larger 809ha Elmina West estate. RHB Research views this development positively as this marks the beginning of efforts by both E&O and Sime to reap the synergistic benefits since the latter bought a 30% stake in the former in 2011. 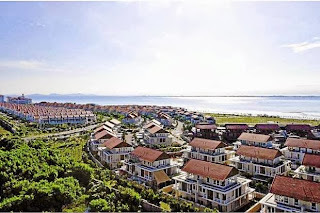 While there are no indications of pricing and GDV, RHB Research said that checks on raw land in Bukit Jelutong showed that it could be worth RM15 to RM20 per sq ft (psf).